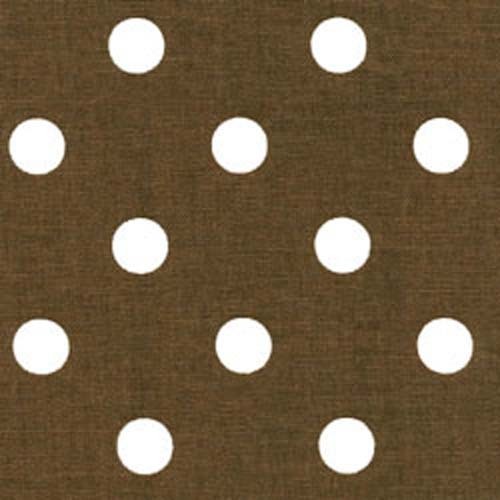 One piece measuring 33" long by 54" wide of espresso brown and white polka dots contemporary home decorating fabric. Suitable for pillow covers or other home decorating projects. Bolt end. Entire piece is $9.25. BARGAIN BARN ITEMS ARE SHIPPED AT NO COST TO ANYWHERE IN THE CONTIGUOUS U.S. PLEASE CONTACT US FOR A QUOTE FOR INTERNATIONAL SHIPPING COST. No return allowed on this item.